Life is a carnival at Grantham Lions Park during the 2018 Grantham Lions Carnival. Four days of fun June 15 through 17, including Townsend Amusement Rides, a Penny Sale, Bingo, and all that delicious Lions food. Advance wristbands for the rides are just $20. 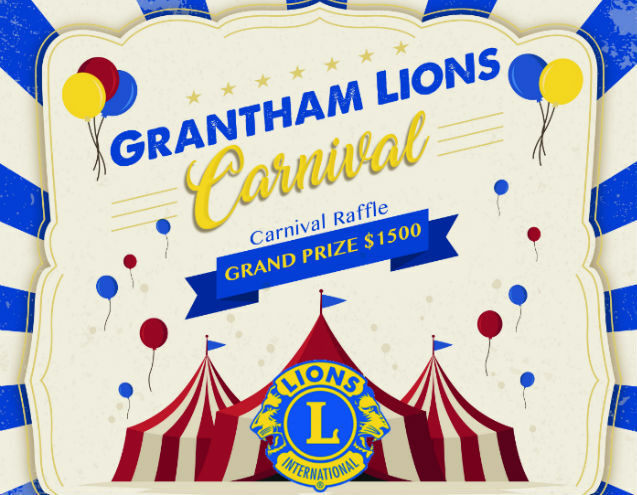 For information, visit them on Facebook or email GranthamLion@gmail.com. Come celebrate Father’s Day with the Lions!